Officially known as the PSAT/NMSQT (Preliminary SAT/National Merit Scholarship Qualifying Test – but "PSAT" for short), the test is co-sponsored by the College Board and the National Merit Scholarship Corporation. It's a standardized test that provides firsthand practice for the SAT and gives juniors an opportunity to enter the National Merit Scholarship competition. Help prepare for the SAT. Since the PSAT is composed of old SAT questions, it's a great way to get a baseline before taking the actual SAT. Use the results for an early start to college planning. By projecting a student's eventual SAT scores – and starting test prep early enough, a student is more likely to get into the colleges of his or her choice. Gain early insight into a student's strengths and weaknesses on skills necessary for success in college (reading, writing, math analysis, critical thinking) – and plan improvement steps now. Enter the competition for National Merit scholarships (juniors only). Receive tons of information from colleges when a student checks "yes" to the Student Search Service question on the PSAT. How is the PSAT organized and scored? The SAT and PSAT use a common score scale, providing consistent feedback to help you monitor your growth as you move through high school. Because the SAT is a more difficult and longer test than the PSAT, SAT scores are reported on a higher scale than PSAT scores, as shown below. PSAT scores are usually excellent predictors of future SAT scores. In addition to the Total Score (the sum of the above two), the remaining dozen “insight” scores may help you better understand your capabilities. 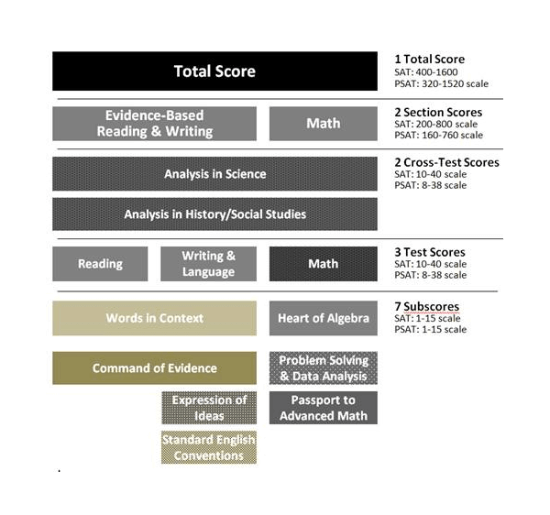 Scoring your test is a complex process, but it all starts with your raw scores, the number of questions you answer correctly in each test section. There is no penalty for a wrong answer; every question you get right increases your score. Each PSAT has three unique score conversion tables created for it ― tables that convert the number of questions you get right into the various PSAT scores and subscores. Each set of conversion tables reflects the difficulty level of the questions on its associated test; it’s like saying the PSAT is graded on a curve. If one test is slightly harder than another, the harder test will be scored slightly more leniently ― and conversely. Because the conversion tables are different from test to test, it’s impossible to say exactly how many questions you need to get right to get a particular score. When does my child take the PSAT? As a preliminary version of the SAT, the PSAT is taken by most high-school students in their sophomore and junior years. Sophomores may be given either the PSAT/NMSQT (October) or the PSAT 10 (offered only in the spring), based on their school’s policy; they are the same test, but with different questions. Some schools, recognizing the benefits of early exposure to the PSAT, may administer the PSAT 8/9 (an easier version of the PSAT) to their eighth and ninth graders in the fall or spring. Along with providing a preview of the upper-level PSAT, the PSAT 8/9 establishes a baseline for a student’s readiness for college and career. Research has shown that taking the PSAT more than once tends to lead to higher SAT scores. How does the PSAT relate to the National Merit Scholarship Program? The National Merit Scholarship Program is a privately funded academic competition for recognition and scholarships that began in 1955. High school juniors enter the National Merit Program by taking the PSAT. In April of their junior year, roughly 50,000 juniors with the highest PSAT Selection Index scores on their junior PSAT (Critical Reading + Math + Writing Skills scores) will qualify for recognition in the National Merit Scholarship Program. In February of their senior year, some 15,000 Semifinalists will be notified that they meet academic and all other requirements to advance to Finalist standing. * Commended students do not continue in the competition for Merit Scholarship awards, but some may be candidates for special scholarships sponsored by corporations and businesses. Should my child prepare for the PSAT? How much test-prep is needed? YES! Your child needs to take the PSAT seriously. Here's the biggest complaint we consistently hear from new students: "I wish I had prepared for the PSAT." Why? Students who don't prepare for the PSAT often receive scores that don't reflect their potential, essentially scores they are so unhappy with that they begin their college-planning process worried about admissions. It's harder to succeed at the SAT under these circumstances. How will Score At The Top work with my child to get a "good" score? Your child will do an in-depth content review with one of our seasoned test-prep tutors, learn how to avoid making careless errors, capitalize on strengths and reduce weaknesses, master timing and other test-taking strategies, and develop enhanced self-confidence. You'll receive email updates about your child's progress after each tutoring session. With more than 30 years of experience, we can tell you that test preparation can be tremendously worthwhile. At Score At The Top, we deliver your child to the door of the exam room ready to achieve a personal best, and feeling positive about facing this rite of passage. To us, and to the thousands of parents who have sought us out, this is the essence of scoring at the top! Is it true that with maturity, my child's score will automatically increase from the PSAT to the SAT? Only a little! On average, for tests administered prior to the PSAT/SAT redesign in 2015/2016, most juniors scored a total of 40-50 points higher on the combined Reading and Math sections of their first SAT than on the corresponding sections of their junior PSAT. Although your child will mature, the test-taking strategies needed for the SAT are not always acquired with age or taught in school: they are learned with test preparation. 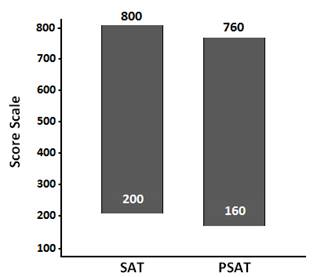 Before the recent redesign of the PSAT and SAT, most of our motivated test-prep students experienced PSAT-to-SAT score gains averaging 150+ points (Reading + Math + Writing). These results reflect score gains we have observed; however, we do not guarantee score gains. Endurance is a major factor on the SAT, but not as much on the PSAT. 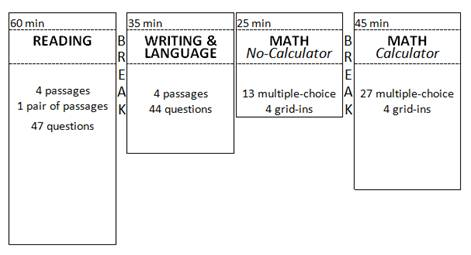 There's a difference between a test that takes about 4 hours (SAT) and one that takes closer to 3 hours (PSAT). Even final exams in college are shorter than 4 hours! When was the last time you saw your child sit quietly focused on a written task for nearly 4 hours? Without effective test preparation, the intensity of the marathon SAT can get the best of even the most focused student. While the PSAT is useful as a baseline, another great way to assess your child's SAT potential is to take an actual SAT in one of our simulations.